Boerne Air Duct Cleaning Pros offers residential and commercial air duct cleaning services in Boerne, Fair Oaks Ranch, Stone Oak, San Antonio, New Braunfels and the surrounding areas. We stretch our services over a wide area so that we can provide quality air duct cleaning to virtually anyone who might need it. The type of your home or business and its size doesn't matter to us, as you can count on the job being done right in every scenario.​ Call the ﻿﻿best air duct cleaning service in Boerne﻿﻿ today! When it comes to professional air duct cleaning, we don't believe there's a reasonable alternative to the time-proven RotoBrush. This powerful machine works on a simple, yet exceedingly effective principle: a rotating brush dislodges any and all unwanted particles from the duct's surfaces, leaving the dirt up for grabs for our industrial-grade vacuum. This method guarantees that no dust, mold or pollen will end up somewhere in your home as we clean – we'd hate to do wrong as we're trying to do right. One great thing about the RotoBrush is that it lets us apply substances inside your air ducts, which is incredibly useful when fighting the accumulation of fungus and/or bacteria. The RotoBrush is also notable for its ability to reach far-out portions of air ducts that would otherwise remain dirty, including parts of your HVAC system that we clean just as eagerly – since we won't rest until every part of a client's air duct system is squeaky clean and free of bacteria, this is the only tool we'd consider using. WE'LL SHOW YOU WHAT'S IN YOUR AIR DUCTS! To make our method even more efficient, we'll turn to a tool called the RotoVision before and after each cleaning job. RotoVision is without equal in its ability to reach out-of-sight parts of your air ducts, letting us know exactly how much work we'll have to do. Another company might be satisfied with doing a half-hearted job, but not us – we want every last dust particle gone from your ducts before we leave. To make sure we didn't overlook anything, we'll perform just as thorough of a check after the brush has done its job and will re-do if necessary. RotoVision's simplicity also creates an additional use for it: we enjoy letting our customers watch the LCD screen both during the pre- and post-inspection. There's nothing that signals a job well done like the stark contrast of before-and-after images – better yet if the imagery is a live feed. Each of our clients knows exactly how much dirt there was before we got to work and will see the end result in all of its clean glory. Thanks to RotoVision, our method is completely transparent – just the way we like it. WHAT IS AIR DUCT CLEANING AND WHY IS IT IMPORTANT? According to the U.S. Environmental Protection Agency (EPA), indoor air is several times more polluted than outdoor air, but it doesn't have to be – not if you're doing business with us. Cleaning an air duct is no small task, which is why you should let us do the job over a contractor with less experience or one who doesn't have your best interests in mind. Hiring the wrong company for air duct cleaning could prove disastrous, as the process is delicate and doing things the wrong way can damage your ducts as well as your heating/cooling system. Breathing is the most basic action we perform, and it's the most important one to us for as long as we live. Why this is so is no mystery: human beings can't function without oxygen and require a constant supply of clean and fresh air to survive and to thrive. Even in industrialized zones, getting fresh air isn't all that difficult when you're outside. When you're inside four walls, however, the story changes. Most of the time, you depend on your air duct system to supply you with fresh air and filter any unwanted particles that might make their way into your home or workplace. More than the health issues they present, dirty air ducts can also be costly. 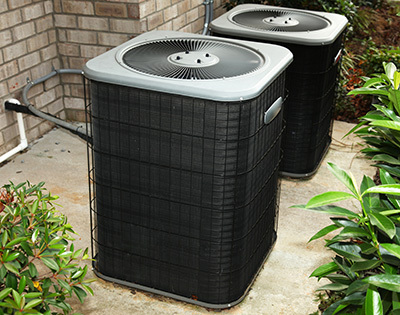 Since your HVAC system also depends on your air ducts, their clogging will cause HVAC to perform below expectations. In fact, the performance of both heating and air conditioning systems can be reduced anywhere from 20%-40% with air ducts that are sufficiently dirty. If you noticed your heating and cooling system is working overtime during the winter for no apparent reason, there's a good chance your ducts are to blame. This is where our air duct cleaning service comes in to the rescue. With our tools and knowledge combined, we'll clean your ducts and bring them back to what they looked like when they were first installed. Our method leaves no speck of dust, mold or any other pollutant behind, producing clean air ducts that are safe for everyone under the adjacent roof. If you've noticed a reduction in your overall health and you can't quite put your finger on the culprit, you might want to call us over for an air duct inspection. Chances are, the inside of your air ducts will look like the bottom of a neglected carpet: dirty and bacteria-ridden. Don't worry, though – we can have those ducts cleaned in no time. Because of how severely air ducts reduce HVAC performance, air duct cleaning should be seen as an investment rather than an expense. You won't just be improving your overall health – you'll enjoy smaller bills during both summer and winter. The overdrive HVAC systems are kicked into in the presence of clogged air ducts doesn't just waste more energy – it can also cause the HVAC to break down much sooner than it otherwise would. The case for clean air ducts is clear – the only question that remains is how committed you are to having clean air in your home and workplace. ​HOW DO I KNOW IF MY AIR DUCTS NEED TO BE CLEANED? This is a question we're sometimes asked, and we like to counter it with a question of our own: have you ever had your air ducts cleaned? If not, we can probably guarantee you'll need some amount of cleaning on them. Very few home owners have the time and knowledge to engage in regular duct maintenance, which stands doubly true when talking about owners or managers of commercial structures. There's simply too much stuff to do in your day-to-day, and we get that – let us take this responsibility off your hands. 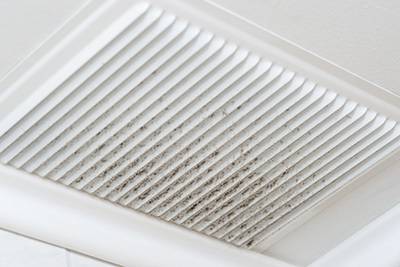 Another safe way to know you're dealing with dirty air ducts is someone sneezing or coughing under your roof. 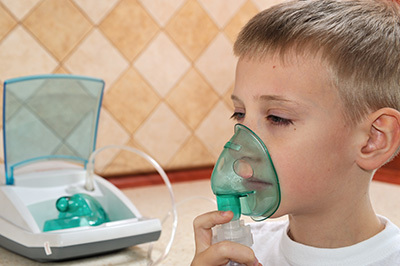 It can be anyone, from you to your visitors and even your pets – sudden respiratory difficulties are a bad sign, and you should call us immediately if you start experiencing them for no apparent reason. You can try checking the air ducts yourself in order to assess their state, but you probably won't be able to see much without specialized tools handled by professionals. Noticing dirt near the opening or seeing muddy filters is a good call to action, but only we can know the full extent of dust and mold accumulation in your ducts. If you've been living under your roof for a while and have never cleaned your ducts – especially if you've never engaged in their maintenance – don't wait a moment longer to give us a call. 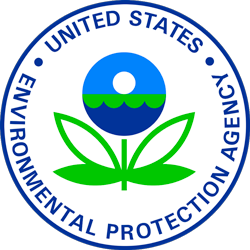 EPA is big on its guidelines for indoor air quality – much of their advice revolves around maintaining and helping restore it. Therefore, EPA advises air duct cleaning on an as-needed basis with the application of common sense. An example of a situation that absolutely mandates duct cleaning would be insects or rodents making their way into the ducts. Needless to say, these can greatly reduce your quality of life and need to be dealt with swiftly and effectively. If you've been hearing tapping noises in your air ducts, it might mean they're acting as a temporary home to some unwanted visitors. While the official EPA stance is mild since the benefits of air duct cleaning still aren't fully understood, they encourage the use of logic when determining whether your ducts need to be cleaned. EPA also recognizes the possibility of mold and bacteria being present in your ducts, which calls for immediate cleaning – these pose the most danger to your home or workplace and the health of anyone inside the walls. 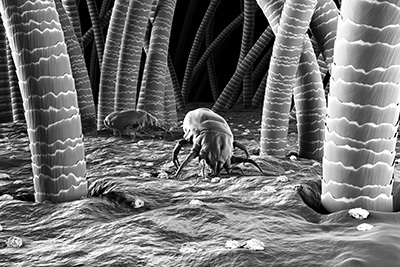 Dust mites love every speck of dust lying around and will have no issue with making you sick. Lastly, EPA also rules in favor of air duct cleaning if any pollutant is actually making its way into your home from the ducts – with a sufficient level of pollution and dust accumulation, we find this to be only a matter of time. ​Structures are meant to give us unconditional shelter no matter the time of year. When we think of structural sheltering, we're most often thinking about protection from rain, snow, wind and so on. But what about springtime, the best time of year for many? A lot of areas experience large concentrations of pollen going from spring into summer, and people allergic to it seek shelter indoors until pollen levels subside. But what happens when your home can no longer protect you? If you have a pollen allergy, having clean air ducts before, during and after pollination time is paramount. Usually, you'd only be exposed to this agitant during a specific time of the year, but if the pollen gets stuck inside your air ducts, you risk suffering year-round without even knowing why. Dust allergies are the same. Those who are allergic to dust often make a gigantic effort to rid their home and office of it yet manage to neglect what should be a fairly obvious place for it to gather: air ducts. 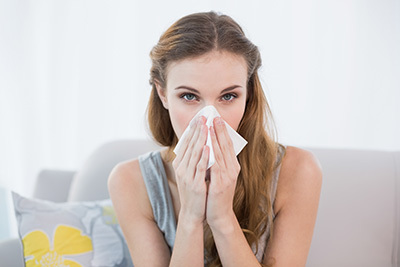 The biggest issue with dust in air ducts – especially if you're allergic to it – is that it can keep accumulating until the duct has no choice but to expunge some of it back into your home or workplace, making your allergy go from bad to worse. Pet dander is another killer of our nasal pathways, and a silent one at that. With all the work our pets need, few of us will remember that particles of their skin can end up taking the role of air pollutant in our homes. 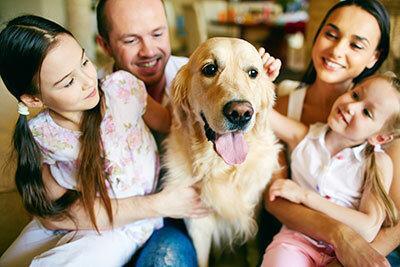 Even if you don't have an allergy to pets, your visitors might, and having pet dander logged in your air ducts could make their visit a nightmare even if your home is clean and your pets are locked in another room. Smoke is another issue worth mentioning – if you're a smoker who frequently indulges indoors, the inner walls of your air ducts and their filters are sure to be littered with a dense layer of nicotine and tar, significantly lowering the amount of ventilation your home gets. Mold is one of those things we rarely think about until it's too late. Well, it's never too late if you have our number on-hand, but you get our point. Seemingly harmless gusts of steam can quickly form layers and lead to mold that's dangerous and often difficult to remove. There are few worse places to have mold in your home than the air ducts you breathe from. Not to alarm you, but moldy air ducts generally mean you'll be breathing in particles of mold every time you take a breath. Mold allergies are more common than you might think, but don't think you're off the hook if you don't have one now – this type of allergy can actually be caused by prolonged exposure to this type of fungus. With each passing day of breathing from moldy ducts, you risk contracting an allergy that can stick with you for life. There's also the pungent and unmistakeable smell of mold that can make an indoors area utterly inhospitable – you might have grown accustomed to it over time and no longer notice it, but your visitors do. The buildup of condensation also frequently makes room for bacteria. They love damp and moist places, and to make matters worse, much of the water that gets condensed has some form of nutrient bacteria find attractive. Cooking steam is a common example of something that can cause bacterial infestation in air ducts given enough time. In these cases, we'll apply a chemical to kill any bacteria that has found its way to your ducts, although we'll do so responsibly and with your health in mind.